Sometimes it is only through the lens of history that we see the true importance of a particular day. Who knew how momentous it was when Jonas Salk checked his mailbox and found an acceptance letter from the N.Y.U. School of Medicine waiting there? Could anyone have guessed that being told he’d failed to make his high school’s varsity team was a significant point in time for a sophomore named Michael Jordan? And what of the day Steve Jobs decided to drop out of college? Could anyone have seen these events as they had happened and known what they meant for polio, basketball and computing? No, often it takes a long look in the rearview mirror to truly grasp the value a certain bend in the road had and its impact on the journey. 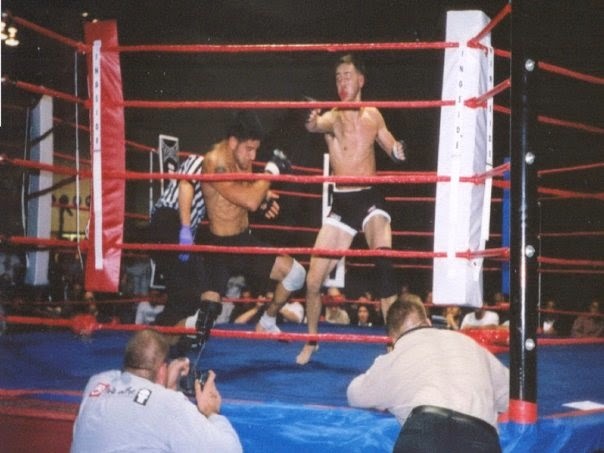 Such is the case with Reality Fighting 2, an MMA event held in Wildwood, N.J. on November 2, 2002. To say that the sport was still young back then would be an understatement. Wanderlei Silva and Mirko CroCop had recently fought to a draw in PRIDE FC, there was no such thing as The Ultimate Fighter, and the last UFC (UFC 39 in Connecticut) saw Ricco Rodriguez defeat Randy Couture for the heavyweight belt. On the regional level, the Northeast scene was in flux. The New York State Athletic Commission had just begun its campaign to eradicate from the state all combative sports, which meant that promoter Lou Neglia’s Vengeance at the Vanderbilt shows and Gene Fabrikant’s events in Brooklyn were no more. In New Jersey, “Big” Dan Miragliotta’s long-running B.A.M.A. Fight Night organization had six months left to live, Neglia had yet to bring Ring of Combat to the Garden State, and Atlantic City-based fight shows like the International Fighting Challenge and Mega Fights 1 had tested the waters and were clearly not coming back. The Northeast needed something – anything – that was stable and constant and a place where fighters and fans alike could come together for the sake of this still new, still fringe sport. Enter: Kipp Kollar’s Reality Fighting. Kollar was everywhere in those days, refereeing fights and organizing events. His NAGA tournaments were his bread and butter, but he’d put on nine Mass Destruction MMA shows in Massachusetts, with Reality Fighting 1 debuting the Bay State as well. Setting up shop in New Jersey, where the land was fertile with would-be competitors and the commission was amenable to these special kinds of fistfights, was only logical. So it was that Reality Fighting 2 came to be, in an airy convention center on the boardwalk in a seaside town in in South Jersey that’s packed in the summer and practically empty in the winter. On that night in November, the first-ever sanctioned female MMA bout in the state went down, a fledging MMA fight team won their first belt, and a local scrapper took on an American Top Team black belt who’d go on to fight in the UFC, Strikeforce and in Sengoku in Japan. Meet Shannon Logan, Zach Maslany and Jose Rodriguez. Logan was a purple belt under Renzo Gracie, and was facing Team Tiger Schulmann rep Laura D’Auguste. It was both ladies’ first fight. Maslany hailed from Team Tiger Schulmann (which was still called Tiger Schulmann’s Karate at the time). He was matched up against Nick Cottone, a wrestler who was undefeated in MMA, and at stake was the Reality Fighting lightweight championship belt. Rodriguez was out of Pitts Penn, a New Jersey school known for its hard-fighting, take-on-all-comers style. His opponent was Jorge Santiago, who was making his MMA debut. I was familiar with Kipp Kollar through NAGA, and had been competing in and dominating his BJJ tournaments for many years. He approached me several times about fighting an MMA bout, and I was interested. I think every athlete has ambition and the desire to push themselves to the next level... whether it's learning a new discipline, or entering competition, or setting their sights on a bigger challenge. I saw MMA as a new challenge and I was excited to fight that bout with Laura, and get in there. I’d been training for a Muay Thai fight at one of Lou’s shows, Vengeance at the Vanderbilt on Long Island. But the show got canceled – they lost their liquor license or something. That show folded, and I’d just put in a six-to-eight week camp, just going crazy because it was my first-ever fight. Then one of Tiger Schulmann’s real good fighters, Shennen Maceo, got hurt and he was supposed to fight for Kipp, and we wanted to put a bunch of guys in to the show and I was next in line, so I took the fight. Basically, I trained four to five times a week up at the headquarters. We did everything there – stand-up drills, cardio, and at the end we’d do grappling. And he had a wrestling coach coming in at the time, which I could never do. I would just get taken down. Then I’d come back to my school and work on stuff. I had never had a kickboxing fight or anything, just karate tournaments and some grappling tournaments, and I’d never fought before a crowd like that, so I trained like crazy. I was just going with Tiger Schulmann and what he was saying. He had confidence in me and my abilities, and why would he lie? So if he was confident and thought I could do it, I felt I could do it. It was crazy because it was a title fight. I was like, ‘Are they really going to give me a belt if I win this?’ I’d been a fan of pro wrestling when I was a kid, so the idea of fighting for a belt, that meant a lot to me. It felt like an Eminem- ‘8 Mile’ type of story, like, man, this is your chance to do this. Back then the MMA circuit wasn’t big at all so everyone knew pretty much everyone who fought back then. Kipp was always hanging around the fight scene till he started his own promotion. He was a ref for one of my fights. It was when I fought Kaream Ellington at the Vanderbilt. Kipp was always a good guy and him and [my trainer] Mark Shopp always spoke when they saw each other… We got the call from Kipp at the gym and Mark pretty much always made the decisions on who and when we fought. We were fighters. We trained every day, so yeah, if a fight came up, no one from our gym ever refused. At the time, Chris Liguori and myself never knew the sport would take off like it did, or we might have been more selective of the fights we took. So that’s the reason why I ended up fighting Jorge Santiago. 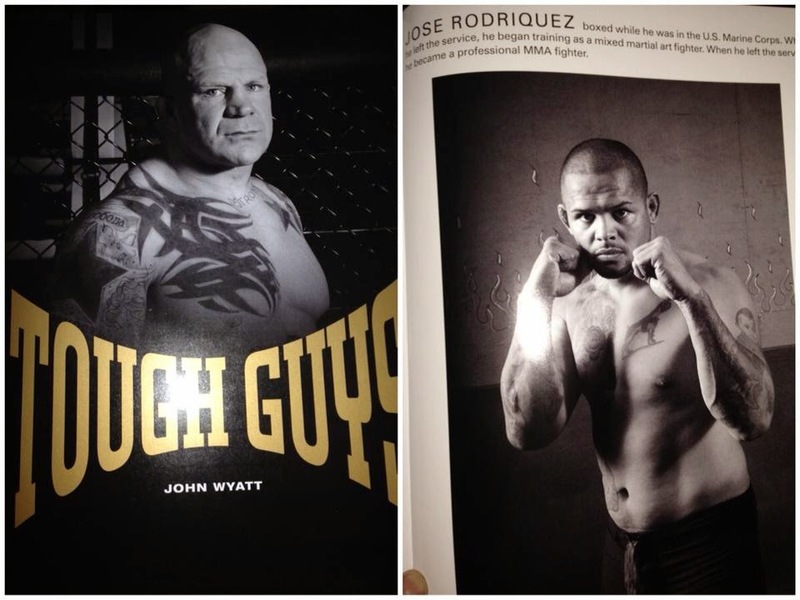 It was a fight like any other – Jorge had to prove he was better than me. There were a dozen bouts on the card, and because it was for a title, Maslany’s fight with Cottone was the headliner. Dab smack in the middle of the event was Rodriquez’s tilt with Santiago, and a couple fights after that was Logan versus D’Auguste. Since the Unified Rules had yet to truly take hold of the minor leagues, bouts were one ten-minute round, then two five-minute rounds. For Logan, that meant nearly eight full minutes of dealing with her opponent’s sprawl-and-brawl game until the referee stepped in and called the bout in D’Auguste’s favor. Throughout the match, the crowd went bonkers – more so than they had for the other fights. I was too wrapped up in training to notice the Wildwood weather, but I do remember the crowd going nuts. I remember my corner, Jason Yang and Danny Ives, and I remember enjoying the fight. Rodriguez’s bout didn’t go nearly as long, although that wasn’t so much because of him or Santiago as it was because of referee Randy Rowe. The fight was going pretty well for both of us. We were standing for a while and a he landed a pretty solid straight right that landed flush but it had no effect on me whatsoever. He ended up going for a takedown and I was attacking him with a heelhook, which he got out of and ended up in side-control. Both of us were trying to better position and he popped up from side-mount and went knee-to-belly, but as he popped up so did I and the bone of his knee penetrated deep into my eye socket. I signaled to the ref that I could see, but instead of him calling a time out so my eye can get checked, he called the fight and it was over. I was very upset, but after the ref makes a decision, that’s pretty much the end of the match. As far as the ref goes, he was also a fighter and had no experience in being a ref. I would say the sport to everyone was fairly new, and it wasn’t very popular until the first season of The Ultimate Fighter. So needless to say, there weren’t many refs to choose from, nor was the sport even sanctioned at that time. The fighters were all signing waivers saying they were voluntarily entering the ring of cage in combat and knew what the possibilities may have been and serious injuries that can occur. The refereeing in the sport has gotten much better since it’s become more popular. Maslany fared much better against Cottone. He had trouble resisting his opponent’s takedowns, and spent much of the bout on his back working his guard, but he was pinpoint accurate on the feet, and late in the match he was able to plant a kick square in Cottone’s face that opened up a bout-ending cut. It was like a dream come true fighting a wrestler. I was just re-reading the old Full Contact Fighter article where you described that fight as like when Mark Coleman fought Pete Williams, and Coleman just beat on him until Pete got up and nailed him with that kick – that’s what it felt like to me. For someone who’s never done something new and you’re super scared, that feeling that you get right before you go in there, that’s the craziest feeling and that’s something I’ll probably never be able to duplicate. That feeling when you’re there waiting behind the curtain, your heart is beating in your chest and everyone is pumped and the music is playing right as you’re about to walk out - I may never fight again, but I would never trade that feeling in for anything. That’s a feeling you almost never get to have. You really feel alive. After that night, D’Auguste went on to win titles in Reality Fighting and Ring of Combat, and flew to Japan to compete in – and win – the Smackgirl tournament. Logan never fought another MMA bout. Maslany lost his belt three months later at the next Reality Fighting, falling prey to the near-flawless jiu-jitsu of Joe Ahlert. 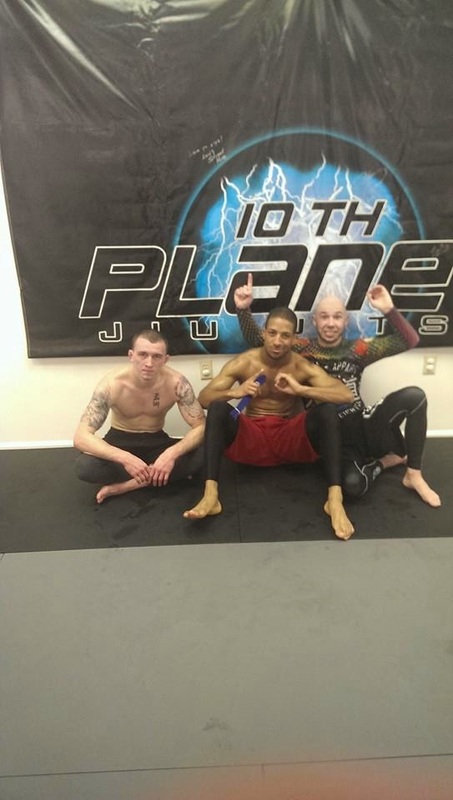 He stepped into the ring two more times after that, left the Tiger Schulmann organization, and became an instructor in Eddie Bravo’s 10th Planet Jiu-Jitsu – a style that he teaches at his school in Bethlehem, P.A. Rodriguez fought 13 more times after Reality Fighting 2, leaving his mark on nearly every promotion to ever come to New Jersey. His last bout was in 2010, but he still trains and spars with active fighters, sharpening them for their bouts in the UFC and Bellator. I’m very honored to have been part of history making for women in MMA, and a pioneer in the sport. I am a purple belt under Renzo Gracie. I trained with him for about six years total, and I had a long career in fighting sports. I went from Muay Thai to BJJ to boxing to MMA to wrestling to coaching-- I just really loved martial arts, and exploring all forms of it. In 2005, I moved to Oregon and took the position as assistant coach of the women's wrestling team at Pacific University, and I trained with them and competed with their girls while I was going to college. In 2006 I officially injured out of the sport and retired after a severe ACL tear. After college, I moved to Los Angeles in 2008 and channeled all that passion into a career in writing. I ghostwrote a two-time New York Times bestseller in 2011, co-authored an Amazon bestseller in 2013, and wrote and produced a feature length movie which will be released in fall of 2014. I am currently writing a TV series called “View from the Vault”, and co-authoring a memoir. Martial arts taught me discipline, perseverance, and gave me grace, timing, and strength-- and I constantly apply this to business. Nothing has changed, only the vehicle I use to channel my passion and skill. I continually strive for the next challenge. The sport has definitely evolved. I feel like there’s a lot of guys at the lower level who want to go out and do it just to say they’re a fighter, but at the higher levels it’s like, “Whoa!” You can’t believe how good some of these guys are. And man, the opportunities are just there for you now. If you want to get in some amateur fights, you can. You can fight more often, fight when you want to. It’s so different now than how it was. Nowadays it’s become more legitimized too. People actually respect it. Back then when I told people I did fights, they thought I did kung fu or karate or something, and they didn’t respect it. I feel like it’s changed for the better. To be honest, anyone I’ve ever fought – win or lose – I was happy seeing them succeed. He went on to fight my teammate Chris Liguori years later and won that fight as well. Jorge was a tough kid, no question. The thing I remember most about that fight was the owner of ATT talking to me after the fight, telling me he never saw anyone take Jorge’s right hand and walk through it the way I did during the fight. I know I’m supposed to avoid getting hit during a match but I like it. I like it a lot. To me, getting hit made me want to fight even more, and after he was done throwing his punches it would be my turn, and not many people wanted to stand up with me. I’m very happy saying I fought Jorge. I have a list of fighters I can say I fought that made it into the UFC. For a while there, I considered myself to be like Pedro Rizzo after all his title fights he never won. I considered myself to be the gatekeeper for a while. I fought Dan Miller, who made it – John Howard, Marc Stevens, Dante Rivera and even Edson Carvalho, who wasn’t in the UFC but is a very well-known fighter who fought Igor Vovchanchyn… I had lots of fun fighting and I’ve met some amazing people still in my life today because of it. [Mixed martial arts has] absolutely changed for the better of course, but the sport has evolved so much. There were always weight divisions when I started but weight cutting wasn't such an issue for an advantage. When I started you weighed in the night you fought and you fought. Now fighters are cutting weight and it's a science along with hydrating in the rooms after weigh-ins, getting IV's… The fighters today are better because they’re not so one dimensional. When I fought, you were either good at stand-up or the ground game. Now the fighters have to be wrestlers, Thai fighters, study boxing as well as jiu-jitsu, and if they want, judo as well. It's all changed dramatically. It's also changed from training at the gym to going to strength and conditioning instructors as well as Crossfit gyms. Anything to get an edge, but it's making them more explosive, stronger, faster. They’re different animals, today's fighters. It's such a pleasure of mine knowing I contributed to the success of the art in this sport and [I’m] still helping as many of them as I can with the knowledge and experience that I have. What am I up to now? Well, I'm building America. I'm an iron worker out of NJ Local 399. It's hard work but it pays well along with good benefits. It puts food on the table and a roof over my head so I'm thankful for that. On my off time I do still train. I train with Dan Fischer still at Evolution Martial arts. I've been training and instructing at Nick Catone’s on Wednesdays with Chris Liguori, which is lots of fun. Also I train with George Sullivan when he's getting ready for fights as well as Mike Medrano at Kurt Pelligrino's, and soon I’ll be training with Dante Rivera and John Howard. So I stay busy and keep myself involved in the sport with the great people I've met. Although Rodriquez said the sport wasn’t sanctioned at that time, that’s not 100% accurate – it was sanctioned, just not in the manner that events are sanctioned in New Jersey today. 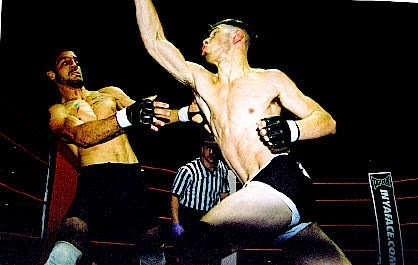 Just as fighters back in 2002 were still learning the game, so too were the athletic commissions. Present at Reality Fighting 2 was Nick Lembo of the New Jersey State Athletic Control Board. This event required licensing, medical, bonding, insurance and all the approvals that are in place today for a pro MMA event in New Jersey. We reviewed and approved referees and judges at that point. We used our own scorekeeper, timekeeper, ringside physicians and inspectors. We did not have our own stable of referees and judges at that point. It was a solid, smoothly-run event. The debut fight for regulated women’s MMA in New Jersey was impressive. Both contestants were skilled and sturdy with a good fan base, but Laura was someone you knew you’d probably be seeing a lot of in the future. It was, in its day, considered a good MMA event but really just the first of many in a scene that would grow immensely over the years. Yet Reality Fighting 2 was more than that. It was a milestone, something worth remembering and reflecting back upon. They say that those who are ignorant of history are doomed to repeat it. However, in the case of Reality Fighting 2, knowing the history and repeating it wouldn't be such a bad thing. Thanks Joe! I remember your fights like they were yesterday. You beat both Spataro brothers.